For years, PYPL has led the industry; last year, PayPal processed more than 6 billion mobile transactions worth more than $350 billion. As of December 2016, PayPal held a commanding lead in the mobile payments industry, with 76% of digital wallet users reporting that they used PYPL. The second most popular digital wallet service, Amazon.com, Inc.’s (NASDAQ:AMZN) Amazon Pay, trailed PayPal by more than 50 percentage points. And, not surprisingly, the mobile payment services offered by competitors Google and Apple Inc. (NASDAQ:AAPL) were used by only 14% and 12% of smartphone owners, respectively. Samsung Electronic (OTCMKTS:SSNLF) sat at the bottom of the ladder with a mere 6% of users claiming to actually use the company’s digital wallet. Clearly, PayPal dominates the online payment arena. However, since the launch of Apple Pay in October 2014, and thanks to AAPL’s subsequent massive push to become the premier in-store digital payment option, PYPL has slipped to No. 2 on the list of retailers that accept digital payment methods. Undoubtedly, this was a contributing factor in the company’s decision to partner with Google. 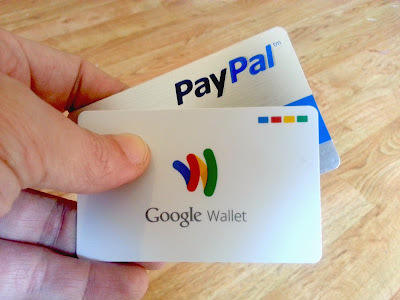 Even though Android Pay is even lower on the list, with only 24% of retailers reportedly accepting the smartphone payment service, the idea is that, together, PYPL and GOOGL stand a much better chance of overtaking Apple and gaining some meaningful market share. The partnership between PayPal and Google will likely have a more significant beneficial effect on PYPL stock than on GOOGL stock. Even though PayPal sits high atop the mobile payments mountain, shares of PYPL stock will be more greatly influenced as investors learn of the partnership arrangement. GOOGL stock, however, probably won’t react much. Interestingly, the inverse is likely to be the case with respect to consumer and retailer use and acceptance of these mobile payment services. According to Statista, 99% of online users in the U.S. are familiar with PayPal. It stands to reason, then, that Android Pay has much more potential to grow in popularity as both companies promote their new partnership.